Sri Kaliswari Trust, comprising a team of munificent philanthropists endowed with wisdom and foresight, embarked on launching an ideal College of Arts and Science in 2000 A.D. To impart value-based higher education to the student community and to mold them to be fit for the next millennium. The Government of Tamilnadu in its G.O. 190 dated 7th June 2000 graciously granted its approval to start the college in the academic year 2000-2001. To begin with, the college was housed temporarily in sivakasi town in 2000-2001 with a modest number of three courses. In just a year, massive and imposing buildings with architectural splendor sprang up at A.Meenakshipuram 7 KM away from Sivakasi. The college moved to its new premises on 19th March 2001. It is recognized by the UGC under 2(f) (1st June 2006) and 12(B) (4th October 2010). It was conferred Autonomous status on 1st March 2012. The UGC has granted permission for starting a Community College in 2015 – 2016. Since its inception seventeen years ago, the College has crossed many milestones. It has registered phenomenal growth in terms of buildings, infrastructure and the number of courses offered. In fact, the college has blossomed into a Premier Institution of higher education in a short span of time. Separate hostels for boys and girls came up. A Computer Center with the state of the art technology was installed and other Labs appeared at a rapid pace. A large auditorium is a recent addition. The College Library is equipped with computer facilities. The library subscribes to the latest journals in all the subjects. Bar-code system is followed in the library. A Separate library building with modern amenities is under construction. Now the College offers a record number of 15 Undergraduate Programmesand 9 Postgraduate Programmes. In addition, 5 Research Programmes and Six Job-Oriented Certificate Courses and Two Diploma Courses are available. Tie-up programmes with ICWAI and ACS, Madurai Chapter, help the students undergo the preliminary examinations for ICWAI and ACS courses. Three NSS Units, YRC, RRC, EXNORA, Human Rights Club, Fine Arts Club, Gender Cell, Citizen Consumer Club, Legal Awareness League, Library and Information Services, Health Club, Physical Education, Science Communication Club and Patti Thatha Manavar Kuzhu are functioning successfully carrying out various extension activities. A unique feature of our college is the Extra Credit Courses / Employability Enhancement Programmes designed for the benefit of our students. In addition to the regular work schedule, an extra hour is allotted to pursue these courses. Students can select a course of their choice by logging into the NME Software. One more feather in its cap is its Re-accreditation with ‘A’ Grade (CGPA 3.30) by NAAC, an elite body of experts constituted to periodically assess the performance of colleges and universities around the country. 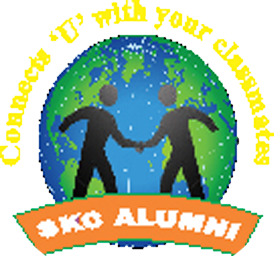 Today, Sri Kaliswari College is a class by itself, renowned for its passionate commitment to quality education and uncompromising high standards in coaching and teaching strategies. Student dominant methods of teaching and innovative teaching practices involving video conferencing and smart classroom are the latest additions. The day is not far off when this young college will emerge as a Model Institution worthy of being emulated by others.